Caffeine is in the coffee bean for a reason. It’s a natural alkaloid that serves the coffee plant as a pesticide. It paralyzes bugs that invade the plant and also gives off a bitter flavor as a warning of its toxic nature. 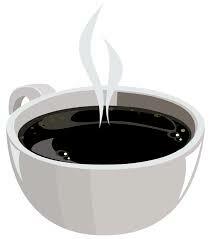 Caffeine is water soluble, as are most of the other ingredients of the bean that give coffee its flavor. The art of decaffeination, therefore, consists of stripping the caffeine from the coffee bean while leaving behind the desirable ingredients that provide the coffee taste and aroma. The green, or unroasted coffee is fully submerged in filtered water that has been heated, in order to extract all the soluble material from the beans. The water solution is then filtered through carbon to separate the caffeine compounds from any of the aromatics that also came out during the extraction, and the coffee beans are then placed in an immersion tank with the caffeine-free solution, allowing them to reabsorb everything but the jitters. World standards differ on the definition of “decaffeinated coffee,” some allowing 97% caffeine reduction, but the highest standards require elimination of as much as 99.9% of the alkaloid content of coffee in order to display the decaffeinated label.